In celebration of Wikipedia's tenth anniversary, Wikimedia Philippines (WMPH) is proud to organize the first Philippine Wikipedia Takes the City photo scavenger hunt, Wikipedia Takes Manila. What is it? Wikipedia Takes Manila is a Wikipedia Takes the City-style photo scavenger hunt, with coverage of the City of Manila. Teams will take pictures of various buildings, monuments and structures in Manila throughout the day. Following the event will be a party for contest participants and guests. Where is it? The central meeting place for this event will be at Paco Park, San Marcelino St., Paco, Manila. The mass uploading of pictures obtained, awards ceremony and party for participants and guests meanwhile will be held at Shakey's Pizza, Maria Orosa Ave. cor. United Nations Ave., Ermita, Manila. When is it? Wikipedia Takes Manila will be held on Wikipedia Day, January 15, from 9:00 am PST onwards. Who can join? Anyone can join Wikipedia Takes Manila. If you can form a team of 2-3 people and have your own cameras, come sign up! You can register using this form. How much? 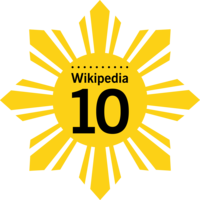 Wikipedia Takes Manila is free! However, teams are responsible for paying for fares and entrance fees incurred in the course of the competition. There are more than a hundred participated in the photo scavenger hunt, the highest on record.